It isn’t a secret that over the past few weeks, community sentiment has begun to shift. Taking a brief look at Crypto Twitter, more analysts seem to be bullish on Bitcoin (BTC) than ever before in this bear market. But why are they so hopeful? And better yet, what do they see in crypto’s cards? As reported by NewsBTC over recent days, the cryptocurrency market has been a slow and steady grind to the upside. On Saturday, the asset surmounted the auspicious $4,000 level, as its daily trading volume surpassed $11 billion for the first time in months. But, some optimists claim that further moves to the upside could very well be on the table. 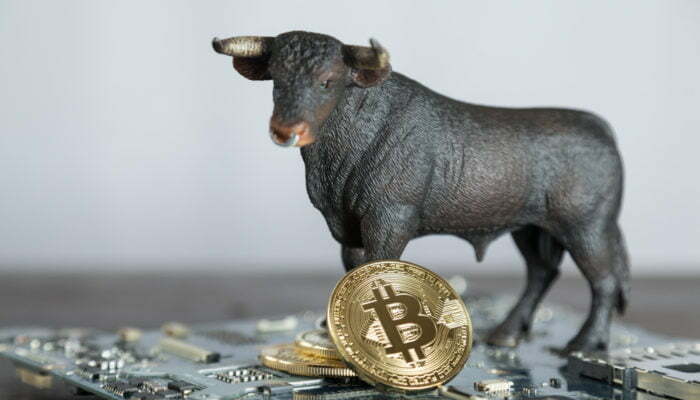 Crypto Thies, a prominent trader, recently drew attention to the reading that his proprietary technical indicator, the slyly-named Market God, has posted. He notes that the three-week iteration of this signal has issued a buy for the first time since October 2016, when BTC was at a mere $500 and readying up to embark on a paradigm-shifting uptrend to $20,000. The reason why this is relevant is that the same indicator called the early-2018 sell-off, along with a number of key events in this budding market’s relatively short history. Crypto analyst Income Sharks has also floated positivity in recent trading sessions too. He explains that from the perspective of the on-balance volume (OBV) indicator, which relates demand through volume and sentiment through price. BTC has begun to show “bullish breaks,” adding that more likely than not, sellers are exhausted at $4,000. Sure, the sentiment is widely and wildly positive. But where do analysts see BTC heading to next? Popular trader Filb Filb recently laid out his reasoning for why Bitcoin could very well hit $5,000 by May. It was added that over recent days, Bitcoin has begun to test a “macro 14-month resistance” downtrend, and could break into higher lows if it surpasses that level, which would then turn into support. A move above this level, which would push BTC into a “huge void” of volume, meaning that rallies and drawdowns could be accentuated with little-to-zero volume, could aid the cryptocurrency in reaching $5,000 and beyond in the coming weeks.